Cody Bye is one of thousands of people who works for his employer remotely. He grew up in Pomeroy, a city of about 1,400 people, but left town for college and a career. In 2015, he and his wife moved back to his hometown to raise their family, but before doing so, Bye made sure their new home was close to Pomeroy’s DSL internet hub so he could still do his job. Bye is a video game developer consultant for a company called Vivox. 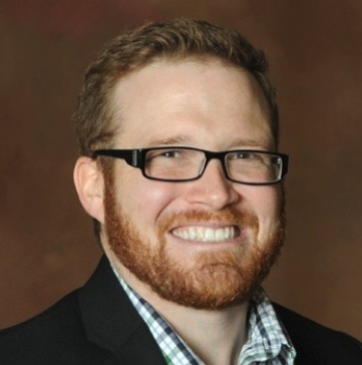 The company is based in Boston, his supervisor works in Austin, Texas, and Bye spends a lot of his time video conferencing with people from around the world. The 34-year-old also runs a startup specializing in digital advertising. “Garfield County is a beautiful place with nice, hard-working, industrious people, but my №1 concern was: Can I do my job? The answer was: kind of,” Bye said. Expanding high-speed internet statewide is a priority for Gov. 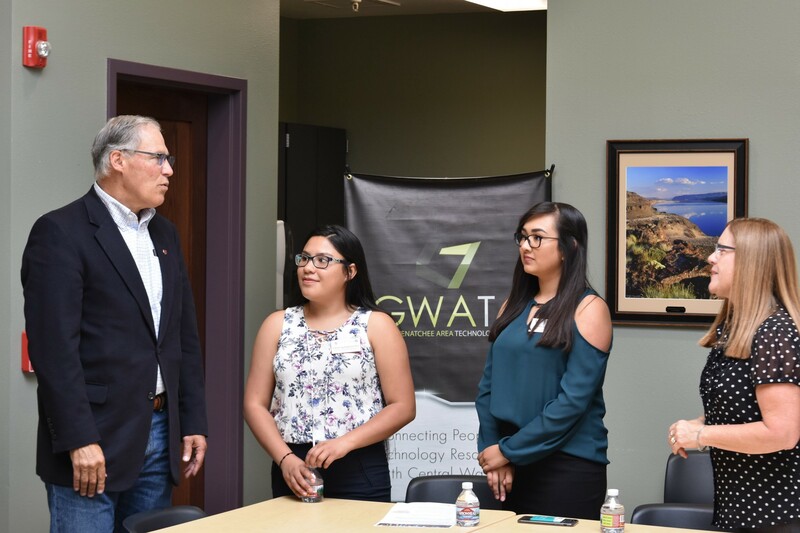 Jay Inslee, who visited rural communities across the state this week to discuss broadband needs and solutions. His three-day tour, which began Wednesday, included stops in the Eastern Washington communities of Pomeroy, Pullman, and Chewelah, the Central Washington communities of Quincy and Wenatchee, and the coastal community of La Push on the Quileute Indian Reservation. Access to quality and affordable broadband internet helps create jobs, improves public safety and health services, and increases education opportunities — but some less populated communities in Washington state don’t have access to adequate broadband service. 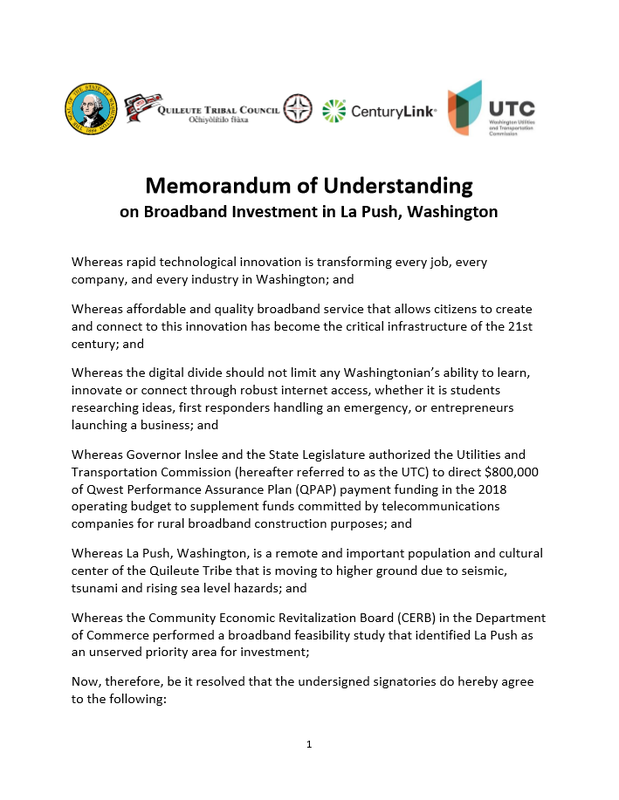 While in La Push, Inslee announced a memorandum of understanding with the Quileute Tribe, the state’s Utilities and Transportation Commission, and CenturyLink to bring broadband internet to the coastal community. A lack of quality broadband affects kids trying to do their homework, entrepreneurs hoping to launch a startup, or rural employees who work remotely for companies in bigger cities. For Bye, having a Digital Subscriber Line internet connection, which runs across old copper phone lines and doesn’t offer the fastest speeds, is “sub-optimal.” It takes hours to download the video games he needs to review, and he worries that as video conferencing technology advances, his internet speed won’t be able to keep pace, harming his ability to talk with clients. Sensing a need for better broadband in his community, Bye ran for a Port of Garfield County commissioner seat and won. The port is pursuing options for building a fiber optic broadband network accessible to consumers and businesses throughout the county, as well as increasing cell phone service to parts of the county that still don’t have it. Fast and affordable internet access doesn’t just affect startups and tech companies, Bye added. It affects cattle ranchers who can’t access online auctions, or farmers who can’t connect to automated farming technologies. 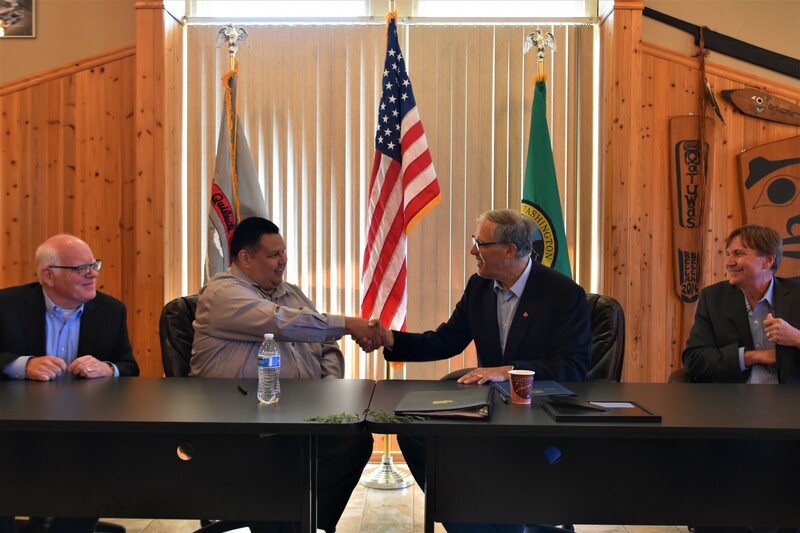 The memorandum of understanding with the Quileute Tribe, UTC and CenturyLink will bring high-speed internet to the tribe’s Lower Village, as well as to property outlined in the tribe’s Move to Higher Ground project. The project moves key parts of the community, including the tribal school and senior center, out of the tsunami risk zone. Click on the image to read the full MOU. The governor secured $800,000 for the project this year through UTC’s Qwest Performance Assurance Plan payment fund. Even when an area has broadband internet access it is often very limited and sporadic. A representative from Microsoft who lives in Quincy, mentioned that she is often kicked off Skype calls with her work team and she has no way of knowing when access will be restored. Others noted that in small towns, access crawls to a stop in some government offices once kids are out of school for the day and using the internet. Inslee heard more from port commissioners about their efforts while in Garfield County on Wednesday including the passage this year of House Bill 2664, sponsored by Rep. Mary Dye, R-Pomeroy. Dye spoke with Inslee about how her legislation will allow more ports in the state to supply wholesale broadband service, particularly in underserved counties. 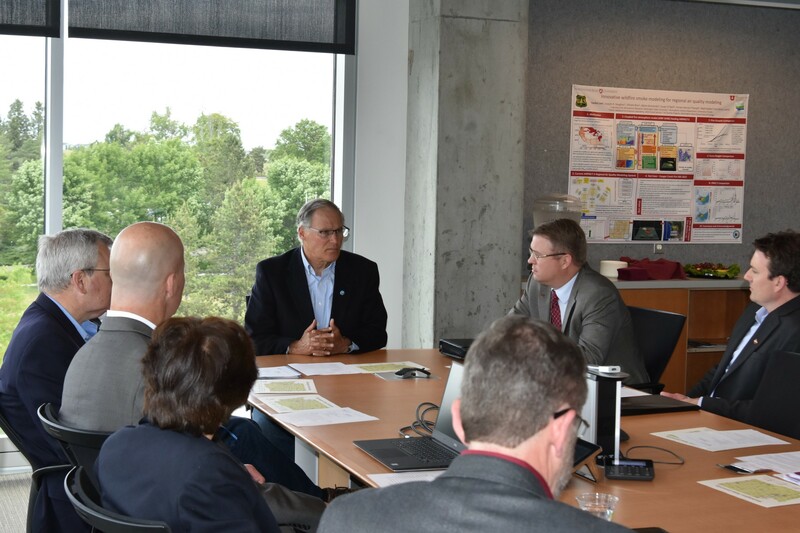 Inslee also visited Washington State University to discuss the importance of broadband for distance education and telemedicine, and Stevens County to talk about broadband from an emergency management perspective, especially ahead of wildfire season. In Quincy, he learned how increased broadband access attracted a Microsoft data center to the area and about the $200,000 in Microsoft TechSpark funding to help expand Grant PUD’s fiber internet services to George. In Wenatchee, he learned about Chelan County’s successful expansion of fiber optic internet, which is providing services to about 75 percent of its residents with the goal of reaching 100 percent. Along the way, the governor discussed headway made this year on statewide broadband access. He helped secure $10 million in Community Economic Revitalization Board funding for broadband projects in remote areas, and he signed Senate Bill 6034, which allows the Kitsap Public Utilities District to provide retail broadband service to its customers, reaching communities in Suquamish, Poulsbo, Hansville and the Stavis Bay area. The governor outlined some next steps, including targeted investments through CERB, creating a Rural Broadband Fund and a Rural Broadband Office, supporting new broadband technologies such as TV white-space spectrums and low-orbit satellites, and future legislation.